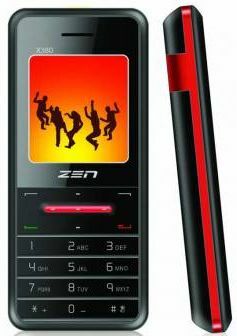 Zen Mobiles today introduces its revolutionary Low-cost Multimedia featured Dual SIM (GSM+GSM) Mobile phone X 380 at just Rs.1399. The Zen X380 GSM phone equipped with a powerful stereo band, TFT screen with 65K colors, mp3 playback, wireless FM Radio, 3.5 mm audio jeck, torch and the usual assortment of organizer features. The Mobile phone also comes with dedicated Music keys and it has an expandable memory up to 2GB. The phone has 850 mAh Battery with standby life of 5 days. The special feature includes, Call/SMS Blacklist and has Hindi Language Keypad.